This core conversation will talk about how cycling, the bike, and social media are changing the world and lives. 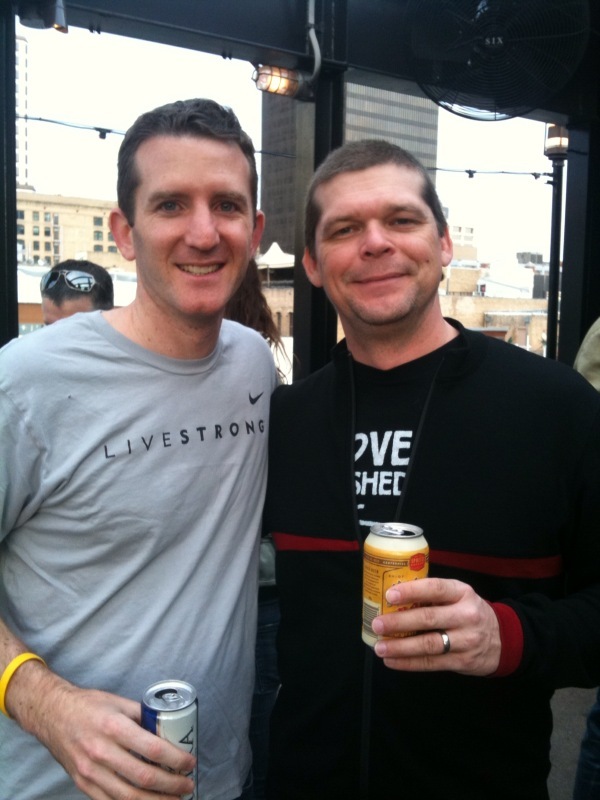 You’ll learn about Livestrong’s community and Bike Hugger’s blog, events like the Mobile Social, and the millions who follow Lance Armstrong on Twitter. It’s a discussion of bike and pop culture and socializing the good with these Interweb tools. A core conversation is just Doug and no audio/visuals discussing the topic with the audience. It’s at 11:00 AM in Room 7. We’re both looking forward to it and seeing you there. also met Chris Sacca who told me a very funny fat-boy rides bike story – fat boy being him. We’ll post on that one soon.